Me jealous not me I never get jealous by the way the bomb is in the mail. Last edited by Blue... on Wed Dec 30, 2009 12:01 am, edited 1 time in total. I am SOOOOO Jealous Bri. Oh Well, just a bit longer ...sigh ! Tell me about the biggest lens and the shortest lens Bri, then I'll tell you which makes me jealous. Last edited by gtirbri on Wed Dec 30, 2009 12:06 am, edited 1 time in total. 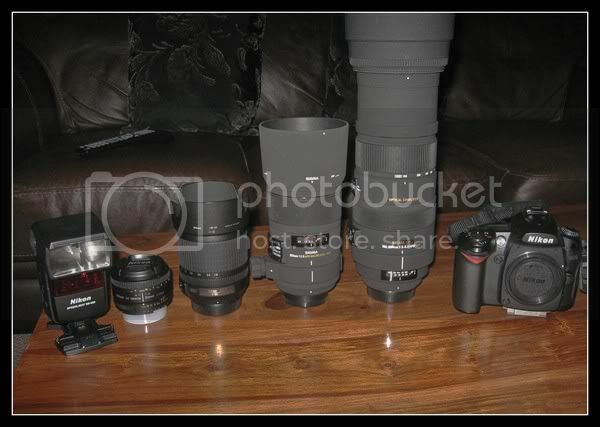 So is the 50mm the shortest? them sony cybershots are a cracking little camera Blue, I also like the panasonic one with the small lenses, is it a lumix or something? No that would make me jealous, I could kill for an ultra short lens! gtirbri wrote: them sony cybershots are a cracking little camera Blue, I also like the panasonic one with the small lenses, is it a lumix or something? The best way to test your lens is chose a distant object and using your tripod take the same object, say mount snowden using all the different lens at various distances say 35 up to 500 compare the results and use the same distance for every shot and do the same for closer objects and compare results then use the same setting each time and adjust to different light as required. Have you ever thought about a fish eye lens?